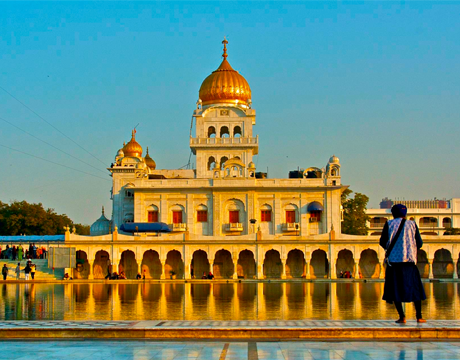 THE SIKH REVIEW STORY: The 'Golden Jubilee' Journal with a Global Mission When you juxtapose the words 'Sikh' and the city of 'Calcutta' (now 'Kolkata' - if you like), two images come to mind; both of them strikingly uncommon. One is that of the historic voyage of the Japanese ship: "Komagata Maru" in 1914 – and the second: of the remarkable Monthly Journal "The Sikh Review", that has recently completed 66 years of publication. The ship made history when 350 Sikhs sailed into Canada's Vancouver harbor – only to be quarantined and compelled to return to Calcutta, where they met with a barrage of firing by British Indian Police that resulted in the death of 18 Sikhs: a bizarre tragedy that made the world award of the Sikh presence in Canada. How many Sikh Institutions can boast of having started in the mid - 20th century, and continue to march into the 21st century with the same vitality and consistency as had inspired its initial journalist enterprises? Now, soon, The Sikh Review will embark its 63rd year. The Journal seeks to provide the readers with a sense of pride and gratitude: Pride in its incredible resilience; Gratitude also for the fact that Sikhs can create successful institutions to serve the new generation provided we are determined. Gratitude also that it is the Sikh awakening and blazing the cultural renaissance of the early 1900s that brought our Faith back to its transcendental realm. "The Sikh Review" is one such example of that dynamics. Today, "The Sikh Review" forges ahead as a major intellectual resource for the Sikhs worldwide, even as the Sikh Diaspora spread far and wide, the journal has helped global Sikhism to stay connected with the core of their theological, educational and socio-cultural ethos. The Sikh Review had been conceived by an extraordinary group of Gursikhs in a post-World War II Study Circle which drew inspiration from The prolific Punjabi Writer Bhai Raghbir Singh Bir - an author with evangelical zeal who ran the Daily Desh Darpan and the a monthly Atam Science. For Calcutta to have a Punjabi Daily is - in itself - a source of pride. This Study Circle then thought of an English Monthly, and went on to herald its first issue in September-October 1953. To its good fortune, the WW-II hero, Capt. Bhag Singh, MBE became its Editor, guided by Ms. Marguerite Allen Randhawa as well as the Oriental Scholar, Dr Hira Lal Chopra who was equally at home with Persian, Sanskrit, Arabic and Punjabi. Among people who contributed with heart and soul were Sirdar Kapur Singh, ICS and Dr Trilochan Singh, Ph.D, D.Litt. A notable fact is that, even in the difficult decade of 1980s, when almost all Sikh journals and newspapers in India were scrutinized, censored and some forced to stop their publication/distribution; The Sikh Review struggled but kept up publication - thanks to the arrival in 1983-84, of Sardar Saran Singh - who had then retired as Adviser to the Governor, Assam. So what makes "The Sikh Review" go on and thrive when many have come and gone? Two factors: The mission, and the inspiration, combined with voluntary service. The team remains steadfast in its mission: To spread the light of Gurbani and matchless course of Sikh History - in a way that is appealing to the younger generation honed in the English language, and to cover all aspects of Sikhism in a new idiom. What is remarkable is the team's mode of operation - that has kept the journal on an even keel. No profit. No personal ego. No politics, A Truly it is truly a Panthic endeavour, free from petty foggery - dedicated to humanitarian goals. From around the globe, scholars and specialists contribute their writings - as a labor of love. An editorial board, with the best minds worldwide, works smoothly to select and streamline the articles. The dedicated volunteer representative body reaches out to Sikhs in every country they live, with the sole intent to disseminate Guru Nanak's mission for people of all ages in every continent. A typical issue of "The Sikh Review" is a little under 100-pages digest that does not boast of fancy paper or graphics, just good contents. Contents that range from the philosophical to the practical Day to Day aspects of Sikhi, from graphic glimpses of History to current concerns that challenge Sikhs anywhere they call home; from reviving the Classics to the review of the latest happenings in the scene of fine arts, cinema, music and literature. It is in simple English, supplemented with Gurmukhi fonts when needed. The content is easy to read and digest, and covers aspects that appeal to a wide range of thoughts and lifestyles centered on Sikhi. In short, there is something new and interesting for everyone out there, no matter if one is connected to any - or all - aspects of being and becoming a Sikh! One could start by giving away subscriptions as gifts to oneself, family members and friends. For libraries, bound volumes of the journal’s prior issues are available for collection. You could gift prior volumes to your Gurdwara library or acquire them for your own private collection. You could use the journal for your monthly book club meeting or material for adult learning at the Sunday Gurmat School. One could argue that "Why in the age of free internet articles would you subscribe to a hard copy monthly journal?" There are a few good reasons. There is no substitute for reading pleasures while unwinding in your easy chair with an article - after article - carefully selected to fill you in with the best of Sikh world. Quality – With editors like Sardar Saran Singh, IAS (Retd. ), and Dr. IJ Singh (overseas editor, Prof. Emeritus, New York University), you can rest assured that you are getting the best of the content. It is eminently affordable. Indians can subscribe it at an annual cost of Rs. 250, the Europeans for UK£20 and the rest of the world for US$40 for 12 Issues - inclusive of shipping costs by air. It is a piece of history that has inspired and connected Sikhs from across the world for the last six decades and plans to do so for many more to come. Most of the content is written exclusively for "The Sikh Review" and is not available on internet. Membership has additional benefits such as online searching for all the old archives. It is in our own interest to keep such efforts viable so we have a media of our own that widely shares truth about Sikhs and Sikhi to our people, as well as to others worldwide. Also there is no better way than more subscribers, wider readership and greater involvement - in order to maintain and improve the quality of the journal. With an excellent track record, readership and support from around the world, it can be hoped that, "The Sikh Review" will keep lighting the path for many future generations everywhere on this planet. It is the best hard copy Sikh monthly in the English language that is truly a historical pride and the one worth saving. It is a must for Gurdwara Libraries and Sikh homes everywhere on earth.